Welcome to Honduras Good Works Medical Mission Trip! This year’s mission trip is July 17-24, 2019. You can can register online here on the Brigade Application page. The total amount of the trip is $2000.00. We need a $200 deposit at registration; another $900 is due by April 1, 2019; the balance of $900 is due June 1, 2019. If you wish you may pay the full balance anytime. On April 1 we will release any seats that have not paid the $200 deposit. If you have to cancel after April 1, the $200 deposit will not be refundable, due to airline fees. The amount includes airfare, lodging and meals, travel insurance, travel agent fee and more. You may make payments or donate to another volunteer here at the Brigade Campaign page. Enter a first or last name in the Search box at the top of the page or use the View More Volunteers button to find your page or someone else’s. An important step is to check your passport expiration date. It must be good until January 2020. Please renew if needed. Mosquitos can carry several illnesses including Malaria, Zika, Chikungunya and Dengue Fever. Protection from mosquito bites is your main means of defense. (long sleeves, mosquito spray, wrist bands). However, if you are pregnant or considering becoming pregnant within the 6 months after the trip, please seriously consider not attending due to the Zika risk. Malaria is common to Honduras. It isn’t rampant, but is prevalent enough that, over the 20 years of our groups going to this area, there have been one or two cases among the mission workers. The risk for malaria is very small, but no one can say it is zero. For those who decide that they want prophylaxis against malaria, we recommend prophylaxis with Aralen tablets. This medication is taken once a week, starting two weeks before departure and continuing for four weeks after return. This medicine is expensive. Talk it over with your physician if you have any questions. If you decide to take it, we can provide it for you. All prescription medication for personal use must be in a properly labeled, currently dated prescription bottle. There will be a supply of medication carried specifically for the mission workers, in case any one gets ill while we are down there. Medication is donated and purchased in bulk and separated into individual packages at the packing parties. Volunteers, such as yourself and friends and family, meet on several dates before the medical mission trip to prepare all medical supplies/medication for the mission trip. 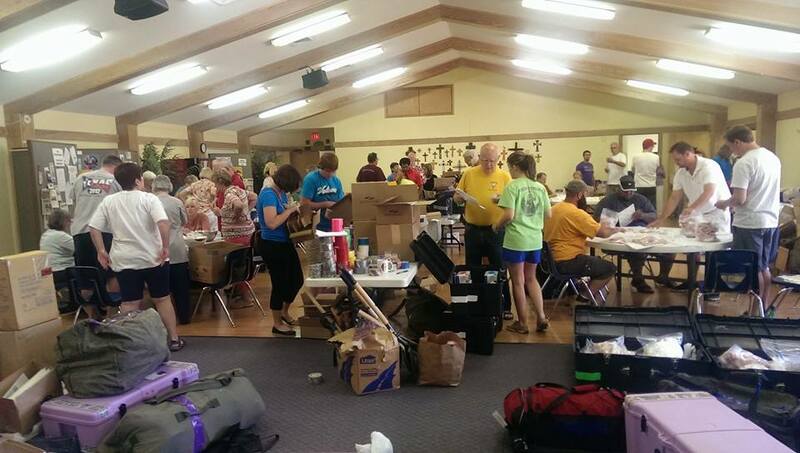 The first packing party will be at St. Richard’s Episcopal Church, 1420 E. Palm Valley Blvd., Round Rock, TX on March 9, 2019 from 9:00 a.m. to 3 p.m. Lunch will be provided, but feel free to bring something to share. Future packing party dates will be announced when they are scheduled.